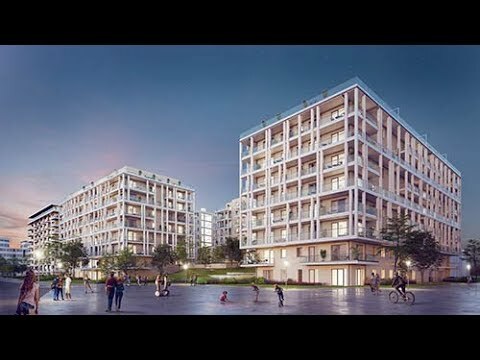 Marina Life is located in Cserhalom Street in a prestigious, fast-growing area of the 13th district, just a few minutes’ walk from the Danube riverside. Residents can enjoy a peaceful and pleasant environment with a spacious internal garden and plenty of leisure opportunities in the local area, such as jogging by the water, kayaking on the Danube or pleasant riverside strolls at sunset. There is a full range of activities on offer right on the Danube riverside to help you unwind after a hard day’s work. The Marina riverside promenade, complete with a children’s playground, is just a stone’s throw away. If you enjoy taking longer walks, there is plenty to discover at Nép Island, including paths along the river, the KSI Kayak and Canoe Club and a selection of open-air summer food options. The Újpest railway bridge is also close by, so you can continue your walk all the way to the popular Római riverbank area. Just a short walk from Marina Life is Duna Plaza, where you can get your shopping done and also take advantage of a wide range of services: there is a post office, cinema, dance school, restaurants, pharmacy, petrol station, hairdresser, supermarket and clothes stores, all just a few minutes’ walk from the building. Marina Life has great transport links, so you can get to where you want to go by car, bus, metro, bicycle or even boat! Váci Road is just 250 metres away, providing easy access to both the city centre and the M0 motorway. The Gyöngyösi Street M3 Metro station, the 150 and 15 bus routes and the 950 and 950A nightbus services are all less than 500 metres away. Fancy travelling in to the city centre by bike? There is a cycle lane right outside the building. Want to enjoy a panoramic view of Budapest from the water? Hop on the D11 boat at the Meder Street stop just 500 metres from home! Property is a secure and profitable investment. Marina Life’s modern, high-quality apartments are excellent investments and retain their value in the long term. The superb location of the development makes it easy to find tenants, ensuring a high return on investment for property owners.